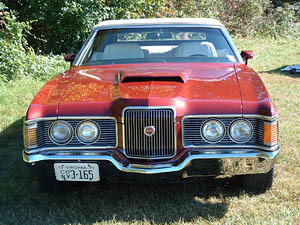 John Bell found his '71 XR-7 convertible about eight years ago in Williamsburg, Va., and made it his own with performance upgrades and a new coat of Thunderbird Garnett Red, a 1986 color, with "gold flake" added for depth. So, how did he end up with this Cat of a different color? "I drive a lot for a living and could not stand getting near a car on the weekends," John says. "So I bought a '50 CJ2 and loved it. Then I moved up to a '51 Ford F2 pickup, and restored it. Took third place with it before I sold it. Then we wanted something we could travel in. That's when we found the Cougar and fell in love with it. It's different, and you don't see very many at all. I don't like having what everyone else has." 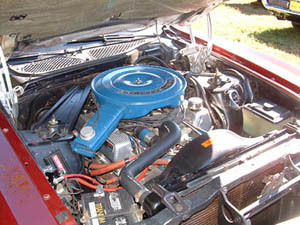 For reasons unknown to John, the car's previous owner rebuilt only the bottom half of the original 351 Cleveland engine in 1989. Over a winter, John went through the top half, doing the valves, guides, seats, water pump, timing chain, gears, fuel pump—in other words, anything that could be replaced with the engine torn down, was. "I also replaced the single plane intake with an Edelbrock dual plane Performer intake, with a stepped-up 750cfm Edelbrock carb," John says. "No, it's not your stock motor, nor does it sound like it either. Someone at the Nationals came up to me as I pulled in and asked if I had a 428 in there. I was flattered for sure!" John says he can't wait to go to Colonial Beach (Va.) Dragway for the club's October picnic and run his car down the track a couple of times just to see what it will do now. 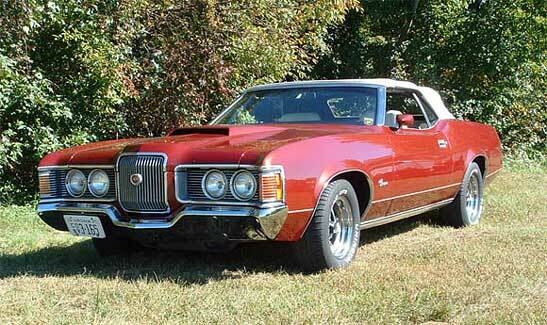 You probably can't guess the car's mileage when you look at this attractive drop-top Cougar. But like many convertibles, it has delivered more than 200,000 miles of fun since it left the factory. Since purchasing it, John has restored the complete interior and trunk, had it painted and freshened all the necessary mechanics of the car to make it roadworthy. He also installed heavier front and rear sway bars, and lowered the front end by 1 inch. "It really handles curves well!" says John. 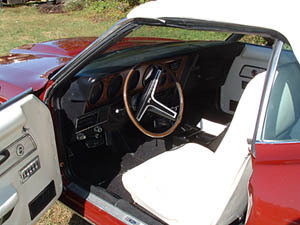 The car is nicely optioned with a white leather interior, power steering, power brakes, tilt steering wheel, power windows, power antenna, C-6 automatic transmission, 9-inch 3:25 ratio rear end and AM/FM cassette stereo. Not that he uses the radio much anyway. "Listening to the pipes of the car's roar coming down the highway is great," he says. "You can't get that out of any radio!" "I enjoy the old cars and working on them," John says. "I'm very willing to help others with their cars or help solve problems. I'd like to build a resource bank of information and contacts not just for my own benefit, but for others too!" John says he and his wife Joyce have had some great times going to cruise-ins out of town and enjoying the drive with four or five other friends in their cars. "The car belongs to Joyce and myself," John says. "She has been a big part of this and how the car has come along to where it is today." John, a self-described "Army brat," was born in Washington, D.C., and now he lives in Dinwiddie County, just outside of Petersburg, Va. He works at Security Corp., in Richmond, as a locksmith. "I work strictly in banks. I guess you can call me a safe cracker," he says with a grin.